Many herbs can improve kidney function. Most herbs do so in preventing common kidney and urinary-tract infections or by acting as a diuretic to flush out excess fluid and kidney stones. Some herbs act in more of a preventive capacity--some in an ongoing health-boosting capacity and others as treatments of existing kidney problems. The use of cranberry (Vaccinium macrocarpon) in both juice and dried form is likely the most commonly known natural remedy for treating and preventing kidney problems. 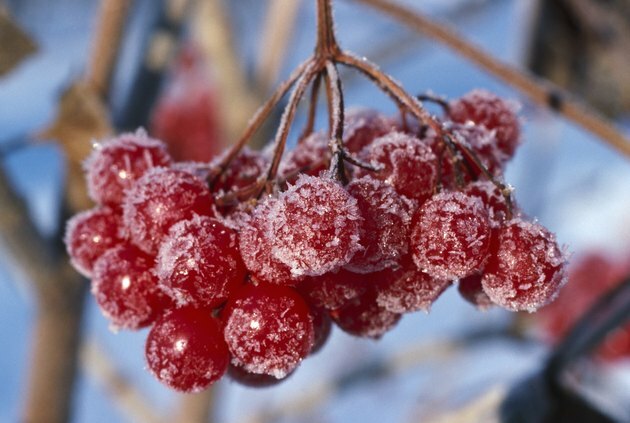 Cranberry fruits can treat bladder and kidney diseases, as well as prevent urinary tract and kidney infections, according to the University of Maryland Medical Center. Native Americans and European settlers have used the raw and cooked berry for treating kidney problems and improving kidney function. Several major studies in humans found that the acidic properties of cranberries prevent the bacteria Escherichia coli, or E. coli, that causes urinary-tract infections from attaching itself to the urinary tract walls, according to the University of Maryland Medical Center. To improve kidney function and prevent infections, drink 3 fluid ounces or more of pure cranberry juice each day, consuming 1 ½ ounces of fresh or frozen cranberries daily, or taking 300 to 400mg of cranberry capsules per day, divided into six doses. 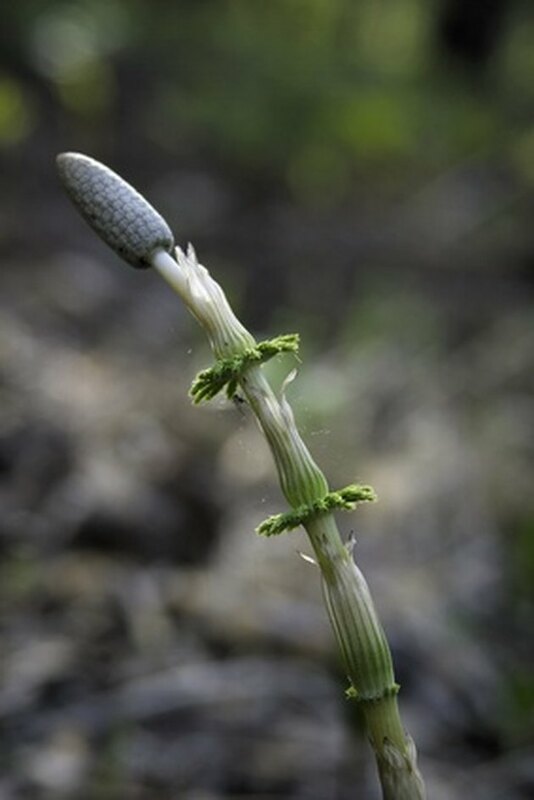 A herbal remedy for many kidney problems, horsetail (Equisetum arvense) is used as a diuretic and is most beneficial for people who have a history of uric acid kidney stones, according to the University of Maryland Medical Center. Few human studies have been performed on horsetail's effects, but the fresh or dried plant parts have been used medicinally by many cultures since ancient Roman times. Horsetail herbs can be ingested to treat or prevent kidney stones and urinary tract infections, according to the University of Maryland Medical Center. Horsetail may also help tone the mucous membranes in the urinary tract, treat irritable bladder and control chronic bed-wetting, according to the Herb Growing & Marketing Network. A tea made from the dried horsetail herb and steeped for five to 10 minutes can be taken three times per day, and the University of Maryland Medical Center recommends a dosage of 2 to 3 tsp. of dried herb infused in hot water. Approximately 1 to 4ml of the horsetail tincture can be taken three times daily. 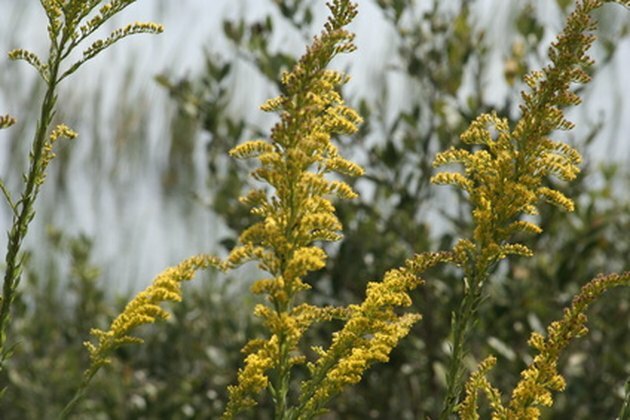 Goldenrod (Solidago virgaurea or S. canadensis) is used as a diuretic, to rid the body of kidney stones and to cure inflammation of the urinary tract or bladder, according to the University of Maryland Medical Center. Goldenrod is typically ingested in a dried form, but it's also used as tinctures and fluid extracts. The University of Maryland Medical Center recommends that goldenrod be taken three times daily as a tea by steeping 2 to 3 tsp. of the dried herb in 1 cup of hot water for 10 to 15 minutes. Goldenrod tinctures are taken two or three times daily in 2- to 4-ml doses, and fluid extracts are taken in ½- to 2-ml doses. Goldenrod can be taken medicinally to treat kidney diseases and disorders ranging from bladder inflammation, or "cystitis," to nephritis, according to the Herb Growing & Marketing Network. Burdock (Arctium lappa and A. minus) roots, leaves and fruits are used medicinally to treat a wide range of ailments, including arthritis, skin diseases, gout, sexually transmitted diseases and stomach problems, according to Georgetown University Medical Center. 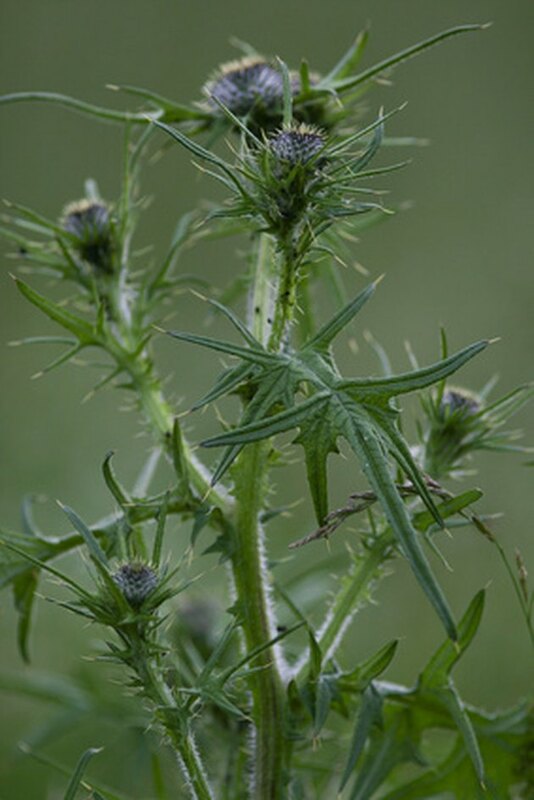 Burdock is also used in treating kidney and urinary system problems like kidney stones, and is used as a diuretic. Typically available in dried root powders, tinctures, fluid extracts or tea concentrations, burdock supplements are ingested to improve kidney function primarily by ridding the body of excess water and increasing urination, according to the University of Maryland Medical Center. Although not recommended for use in children, adults can take 1 to 2g of burdock root capsules, 2 to 8ml of fluid extract or 2 to 6g of tea steeped in 2 cups of water, three times per day, according to the University of Maryland Medical Center. The leaves of the herb uva ursi (Arctostaphylos uva ursi), also called bearberry, is used to treat urinary tract and bladder infections due to its natural antibacterial properties, according to the University of Maryland Medical Center. Used medicinally by Native Americans for centuries, uva ursi is used today to help in curing kidney- and urinary-related infections, as well as cystitis. Through test tube and animal testing, researchers have discovered that uva ursi herbs contain the antibacterial chemicals hydroquinone and arbutin, as well as astringent tannins that shrink mucous membranes in the urinary system, according to the University of Maryland Medical Center. In even moderate doses, uva ursi can be toxic and isn't recommended for use in children, but the dried leaves are typically crushed and made into 400 to 800mg capsules that are taken in doses of 2 to 4g per day. The dried leaves can also be steeped for making teas. Despite its natural antiseptic effects, uva ursi may not be effective in treating simultaneous urinary tract and kidney infections, according to the Herb Growing & Marketing Network.